Welcome to M.S. Properties, The Real Estate Company! M.S. Properties is an established company that has been involved in the local property market with its Principal having over 30 years of experience. 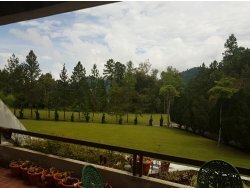 Our expertise and extensive knowledge lies in Holiday Hill Resort Homes and Apartments primarily located in Frasers Hill. 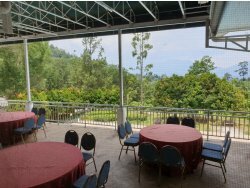 We are distinctly positioned in the sale of Hill Resort Homes in Cameron and Genting Highlands. We also have a designated team of agents covering popular holiday seaside destinations, namely Port Dickson, Langkawi and Penang among others. "Dear Michael, Roger and I are very grateful to you and your company for having successfully sold and bought properties on our behalf. We are very satisfied and very happy with the personal service you gave, right from when we first met you in 2008. We consider ourselves very lucky to have you as our professional property agent as well as, in fact, more so, as our friend. Not many people can do this job with competence, knowledge, kindness and warm warmheartedness. You are exceptional! Thank you again." "We are Canadians interested in retiring in Malaysia on the MM2H Visa program. We first met Michael in 2009 after seeing his website and the homes he was representing on Fraser's Hill. We were interested in finding a property in the cooler climates on the Hill, and Michael was extremely helpful and cooperative answering the questions by long distance e-mail we needed answered before we visited the property, and fell in love with it. He was also very helpful recommending various contacts to help us with all stages of the property transfer. We would definitely recommend dealing with Michael. He is very ethical and honest, and genuinely cares about his clients and the community. We still stay in close contact and see him frequently up on the Hill. We hope he'll still be around to represent us when we eventually sell our house, but that will be many years from now." 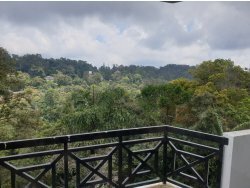 "Not only was Michael Thiruchelvam Sebastian very professional in brokering the sale of my apartment in Silverpark, Fraser's Hill, Malaysia, he went out of his way to assist me in getting the relevant updated documents required by the solicitors for the transaction. Given his close contact with the various government authorities and other parties involved in providing such documents, the whole sale process was a breeze. 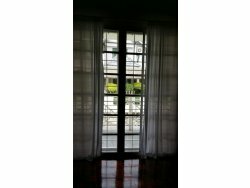 Michael demonstrated his ability to match the expectations of both the buyer and the seller, which none others could for a period of time in my case being a foreign seller residing in Singapore. Much to my satisfaction, he recommended a lawyer, who is well versed with the laws and regulations pertaining to the transaction and for this particular development to ensure the smooth and expeditious completion of the sale without me having to be physically present on site. I am very pleased and satisfied with what Michael had done and would highly recommend others to use his services. "I am very pleased and satisfied with what Michael had done and would highly recommend others to use his services." Contact us today for a free consultation session! Our accumulated experience and knowledge of the trade encompasses three main sectors, namely Residential, Commercial and Industrial properties.